Jon Hoekstra, Board Chair, is the executive director of the Mountains to Sound Greenway Trust. Jon has previously served as a Senior Scientist for The Nature Conservancy and Chief Scientist for the World Wildlife Fund. He is the lead author of The Atlas of Global Conservation and has published numerous scientific articles on diverse issues including endangered butterfly species, conservation planning, Chinook salmon, climate change adaptation, global habitat loss and protected areas, and conservation return-on-investment. 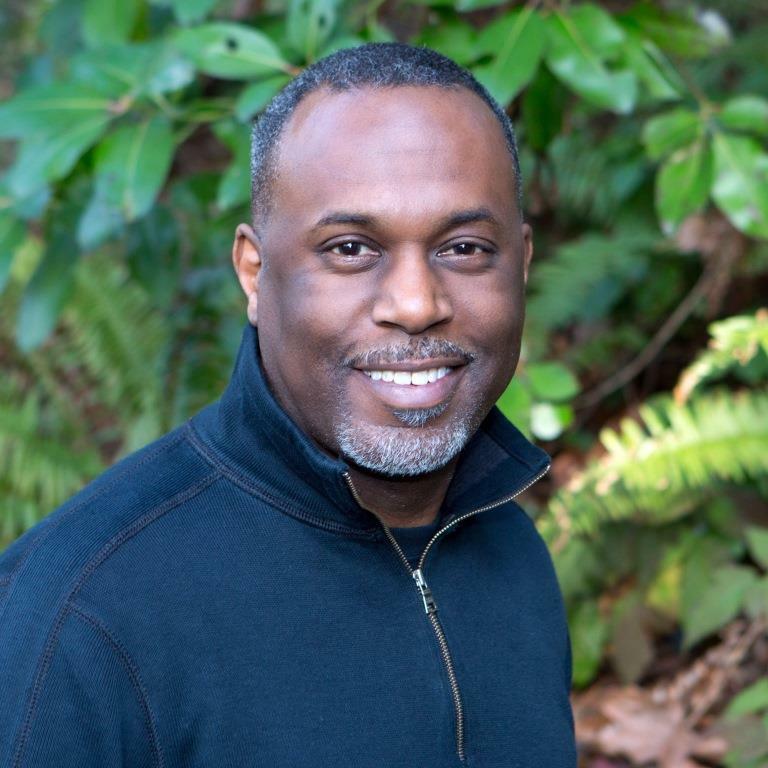 He earned bachelor’s and master’s degrees from Stanford University and a doctorate from the University of Washington where he maintains a faculty appointment. Stephen Tan is an environmental lawyer and a partner of Cascadia Law Group, where his practice focuses on environmental litigation. Long active in the nonprofit community, Stephen currently serves on the boards of directors of the National Audubon Society, Washington Trails Association, and Pacific Public Media (KNKX-FM), and on the advisory board of Cascade Public Media (KCTS-9 Public Television). He writes and speaks often about environmental and conservation policy, sustainable businesses and organizations, and nonprofit governance. Stephen received his J.D. from the University of Colorado and his B.A. in biology and environmental science from the University of Virginia. Liz Banse, Board Secretary, specializes in communications planning, strategy and execution at Resource Media, a nonprofit communications firm. She focuses on helping nonprofits, foundations, and government clients communicate their environmental, public health, social justice, and community concerns and solutions effectively to achieve their goals. Find Liz’s advice on visual communications here. Susan Elderkin, Board Treasurer, is a communications and development professional with more than 25 years of experience with environmental non-profit organizations. She began her career in Washington, D.C., by working to protect the California desert and to reform the 1872 Mining Law at the Sierra Club and National Wildlife Federation. Longing for mountains and a deeper connection to the issues she advocated for, she moved to Seattle in 1995. Since that time, she has worked to protect old growth from a salvage logging law at Earthjustice, served as the development director for the anti-sprawl group Futurewise, and most recently was the website editor and then the communications and outreach director for Washington Trails Association. Susan has a master's in public policy from the University of Michigan. She is the author of Best Hikes with Kids: Western Washington, published by Mountaineers Books in 2018. Gabe Aeschliman is currently a Philanthropy Officer with The Wilderness Society helping develop relationships between people and their public lands. Previously, he was the Senior Philanthropic Advisor with Seattle Foundation advising individuals, families and groups on effective philanthropic strategies, and leading the environmental grantmaking work. He received BA in History from California State University, Sacramento. With strong ties to California, he often finds himself hiking and climbing at destinations along the West Coast. Joey Manson has resided in Seattle for more than twenty years. He places a great level of importance on building strong communities and has allied himself with a number of non-profits and community organizations. His work helps people appreciate wild spaces both near and far. A native of Washington, D.C., Joey studied Applied Design at University of Maryland, College Park. He has worked in the stained glass industry for over 20 years as a window fabricator, instructor, a retail sales manager, and a sales representative for an international supply distributor. He later embarked on a renewable energy project in the San Joaquin Valley. As a project manager, Joey worked to build an anaerobic digester in Modesto, CA. Upon completion, Joseph returned to Seattle and began working for the National Audubon Society as a manager in their Seward Park environmental learning center. For the past two years Joey has served as the Director of the Seward Park Audubon Center. Joey is an active member of Phi Beta Sigma Fraternity, Inc. He participates in recreational activities with Outdoor Afro and is a regular bird watcher. He is a recreational motorcyclist and continues to enjoy stained glass and glass fusing as a hobby. He also loves to tinker with things. Colin Lingle is a specialist in political messaging, digital publishing, and multiplatform marketing, with two decades of experience helping organizations communicate effectively. He has worked with Braided River and other environmental and political groups to translate research into strategies for reaching and motivating communities. A dedicated son of the Pacific Northwest, he has ambled through rainforests from Gold Beach to Orcas Island. He earned a bachelor’s degree in American Studies at Yale University, a master’s in Journalism and Communication from the University of Colorado, and a doctorate in Political Communication at UW. Dan Ritzman is the Director of Lands, Water, Wildlife Campaign for the Sierra Club. His work focuses on creating a just, equitable and powerful movement that promotes protected wild lands and waters where wildlife, plants and people thrive. Dan has more than 25 years of experience running grassroots advocacy campaigns to protect iconic landscapes. His love of the outdoors began with his family, who spent many weekends and family vacations outdoors, and grew when he found his passion guiding rafting and backpacking trips in college. Throughout his conservation career Dan has been fortunate to be able to continually do some professional guiding. In the summer he enjoys unplugging from the internet and exploring the wilds of the Brooks Range and Arctic Alaska. Dan earned his bachelor's degree in Environmental Policy Analysis and Planning from the University of California at Davis and holds a graduate degree from the School of Forestry at the University of Idaho.